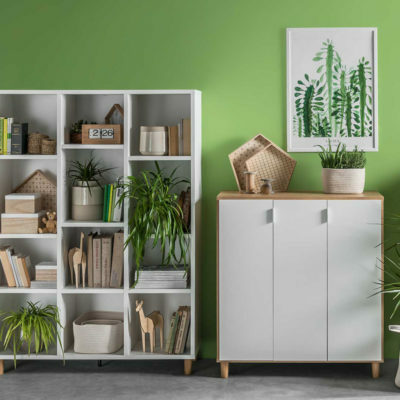 The Simple Two-Door Wardrobe - Oak & White from the Simple collection by Vox has a beautiful oak frame and white doors combined with clever additional functionality. 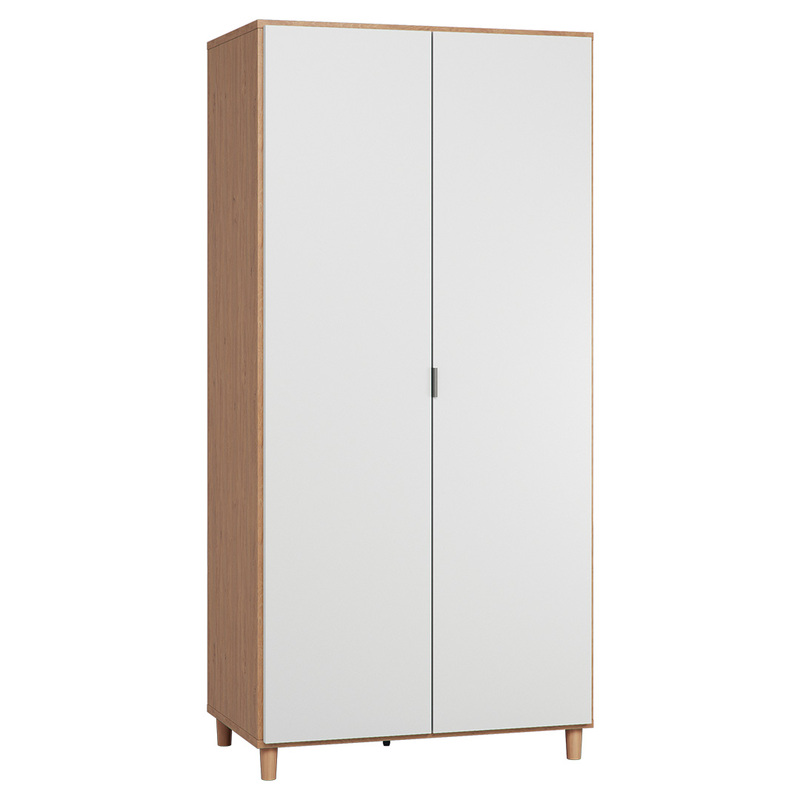 Perfect for teenagers and kids rooms, this Simple Wardrobe features durable materials and elegant contours. The doors all have a silent system which opens up to an LED motion sensor light inside the wardrobe, which illuminates when the doors are opened. Inside the wardrobe you'll find four shelves on the left side, all with convenient height adjustment. On the right side there are two rods for clothes – one is permanently mounted on the top and the second one is under a height adjustable shelf. A vertical partition was deliberately not placed in the middle, and thanks to precise analysis, more space is available on the right side of wardrobe for hanging clothes. The depth and width of the shelves match the dimensions of a folded pile of clothes. 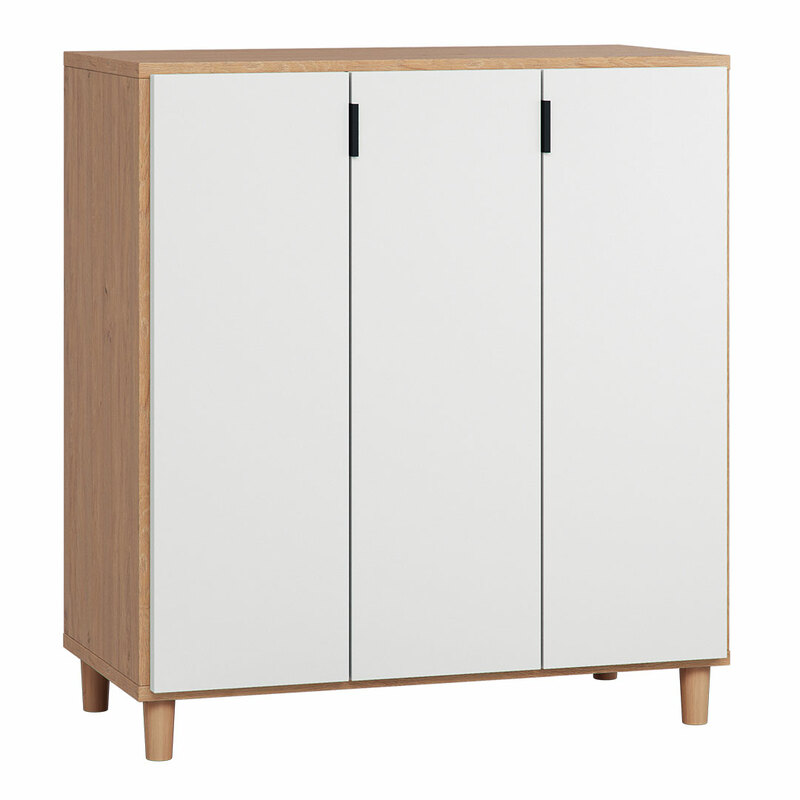 A hidden fifth leg underneath strengthens the structure of the wardrobe, meaning it is anchored well and can store heavy loads.